Do you need to add a new ticket type for multiple performances of an event? No problem! First, from the Event Home click Details tab and then Add A Ticket. Done! 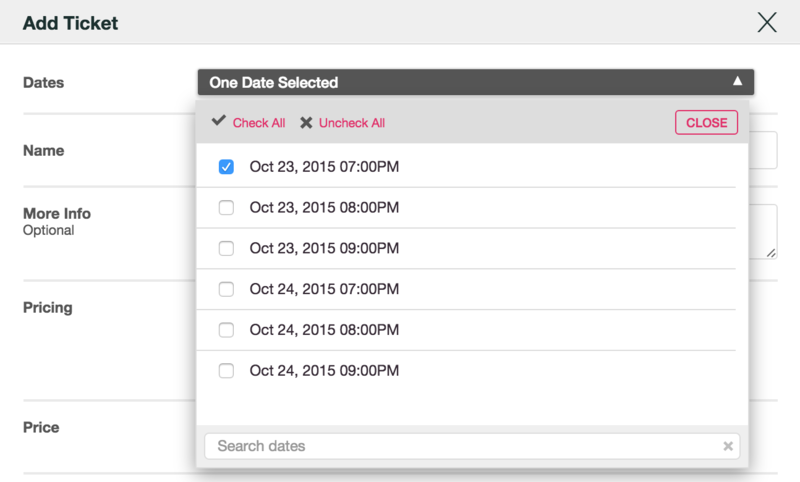 You've successfully added the new ticket type(s) to the dates you've specified. How do I enable or disable Ticketleap "shopping carts?"